You know, the Vidalia onions are so good raw. They do not have this pongee aroma of regular onions, so you can eat them as they are, just sliced with a little bit of salt. This is a recipe from Sofia, Bulgaria. Bulgarian sweet onion was similar in taste to Vidalia . In the 1980's there was a snack bar right in the center of town, where this dish was served. 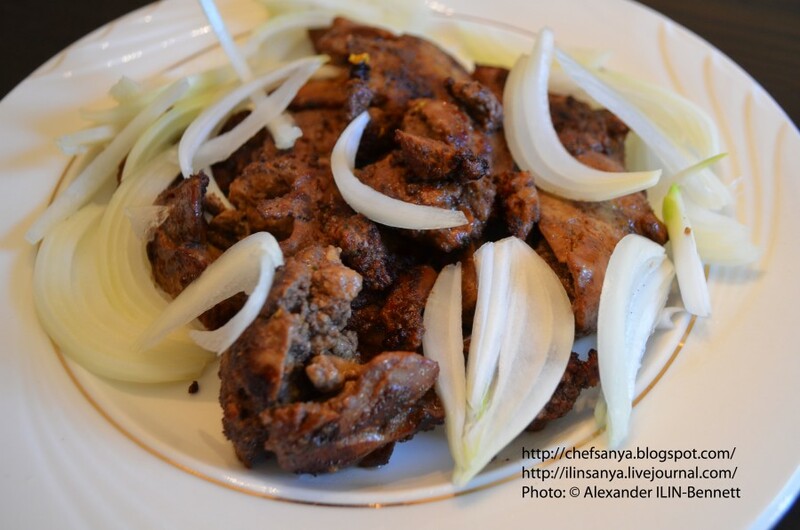 Fry the livers in oil with salt and pepper until done and put in a dish. Put freshly sliced Vidalia over it. P.S. If you add cold beer to it , you will enjoy it even more!